Made by Mist, David in Sydney, New South Wales, Australia, 1969. Negative number 1103. 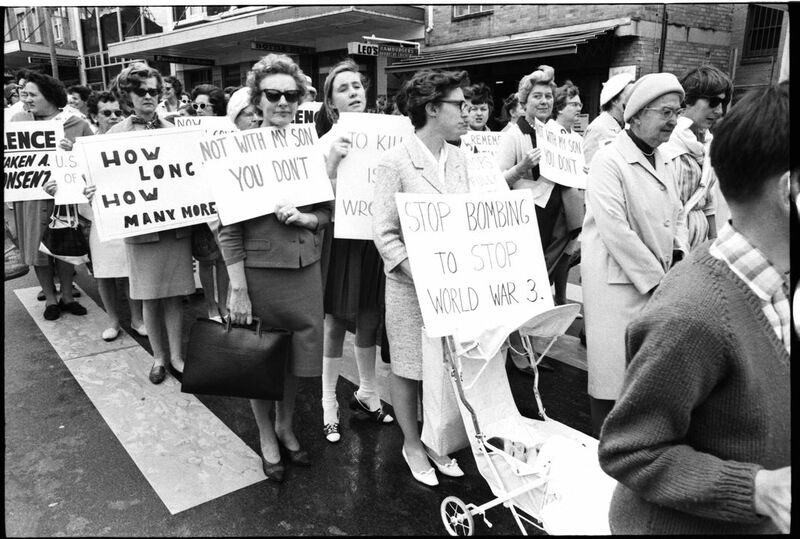 Photograph from negative appears on page 159 of the book with the caption "for protest ... Protest is becoming a part of life in Sydney. Trade unions, peace groups, religious organisations and students march to demonstrate their causes.". The demonstrators are women, perhaps from the Save our Sons movement?